This post has been updated since its original posting on August, 2014. Do you like to hike? What about see live theatre performances? Did you know you can do both at the same time? 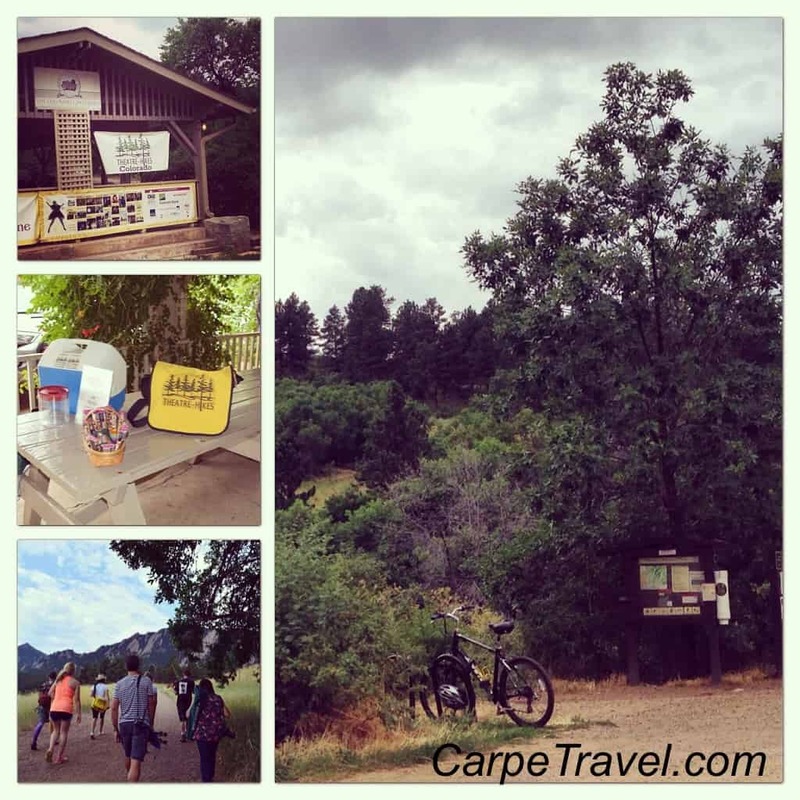 Arts in the Open, formally known as Colorado Theatre-Hikes combines the two – an outdoor hike with amazing views paired with a fun, family friendly theatre performance at Chautauqua Park in Boulder. 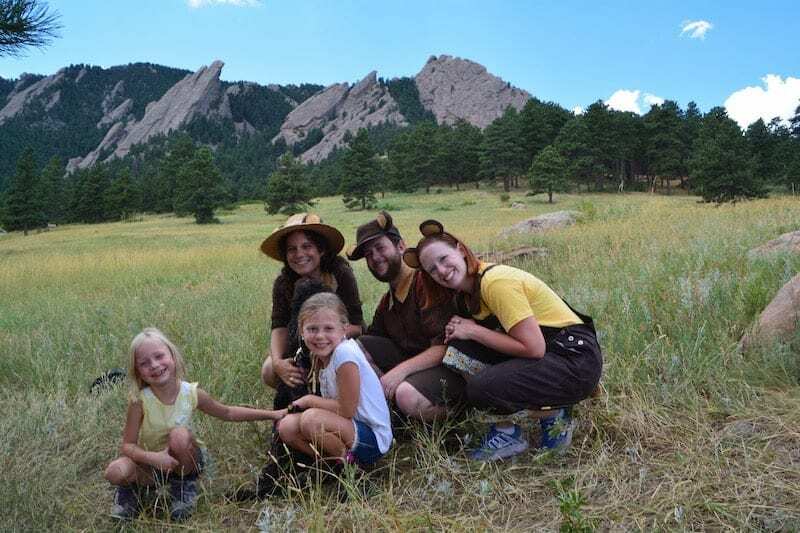 As part of this summer’s adventures, The Husband and I loaded the Princesses (and the dog) into the car and headed up to Chautauqua Park in Boulder to see The Three Little Bears reenacted by Arts in the Open. 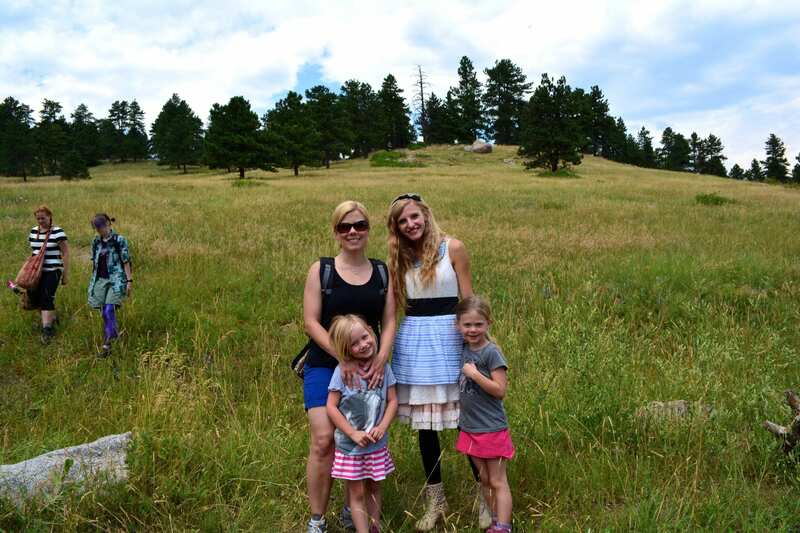 Two years ago the girls and I saw Alice in Wonderland done by the same group, but under an old name – Colorado Theatre-Hikes. The group changed its name to Arts in the Open this year and became an official nonprofit organization. On our first theatre hike two years ago the girls were much younger and not nearly as strong of hikers as they are now. After two hours and two miles the Princesses were worn out but thrilled to have seen Alice chase the White Rabbit down the hole and join in her Wonderland adventures. This time around, they were ready hang out with the Three Little Bears and go for another round. 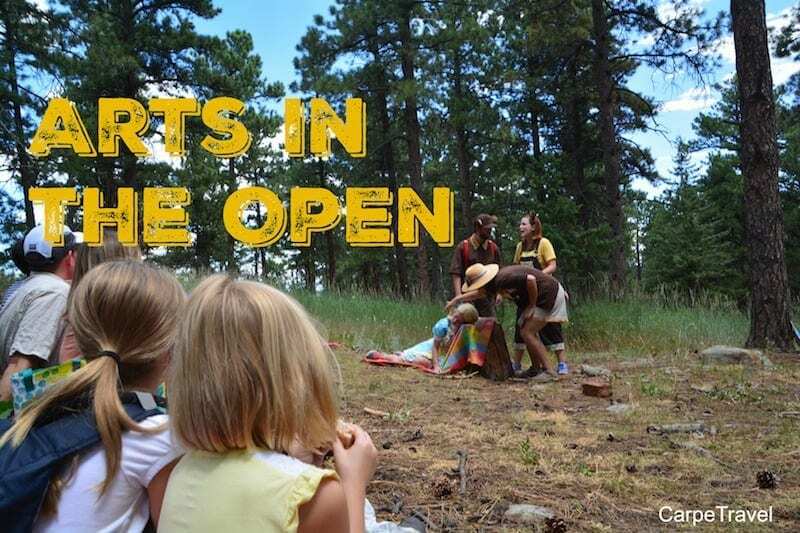 Arts in the Open combines the arts and the outdoors. 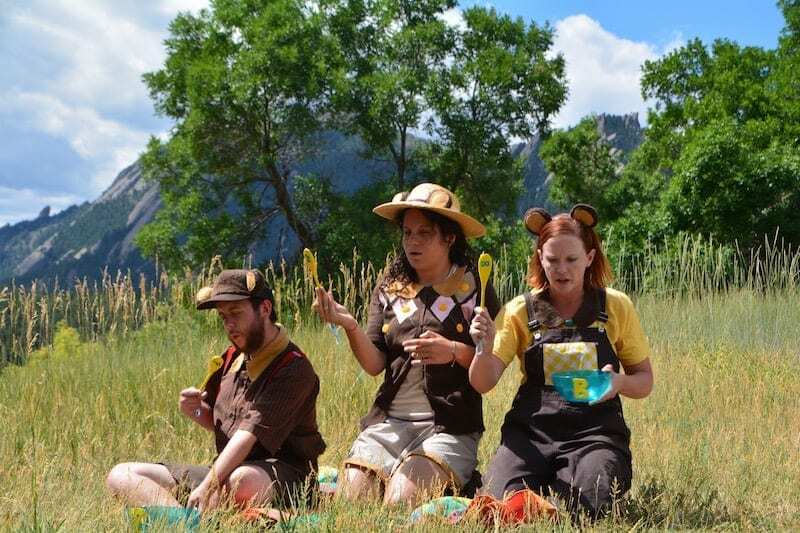 It launched in Colorado eight years ago at Colorado Theater Hikes offering the traveling, outdoor performances twice a year – one summer and one fall show. In 2016 the group changed its name to Arts in the Open and statues to a nonprofit organization. 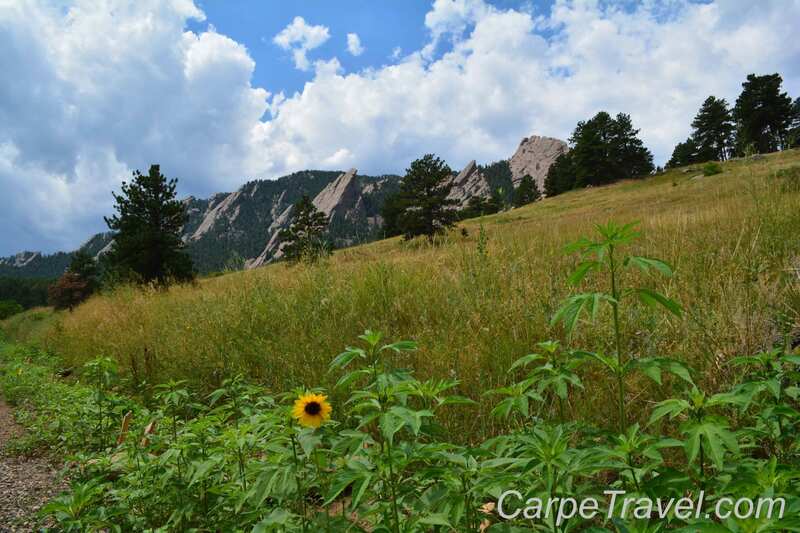 Normally, the summer show at Chautauqua Park in Boulder runs through the month of June and early July and the fall show runs the end of September to the end of October. The duration of the shows are based on the weather in Boulder. If the hikes went too far into July it can get too hot on the trail for the audience/actors. Conversely, if they go into November it can get too cold. The group, made up of 32 hikers along with the group leader and the Minstrel, who is playing tunes for the event meet at the picnic area behind the Chautauqua Park Auditorium. The hike begins at 11am with the group following both the Minstrel and group leader to a clearing about 15 minutes up the trail. Actors are in their places and begin the scene as soon as the group is settled into place. The two mile hike is a fairly moderate one; the first time we did the hike in 2014 the Princesses only had a hard time towards the end when we had to go through a rocky area. This time around the only challenge was the heat. With that said, it’s wise to bring a few of your hiking essentials even though it’s a moderate hike – water, good walking shoes, water, bug spray, water, snacks, and a blanket or chairs to sit in. Did I mention water? Arts in the Open. The hike begins sharply at the allocated time. The group leader won’t wait – there are 32 other people and the actors to consider so get there on time. If you’re late, you can head up the hiking trail outside of the picnic area and pretty easily find the group. Strollers WILL NOT work for this. 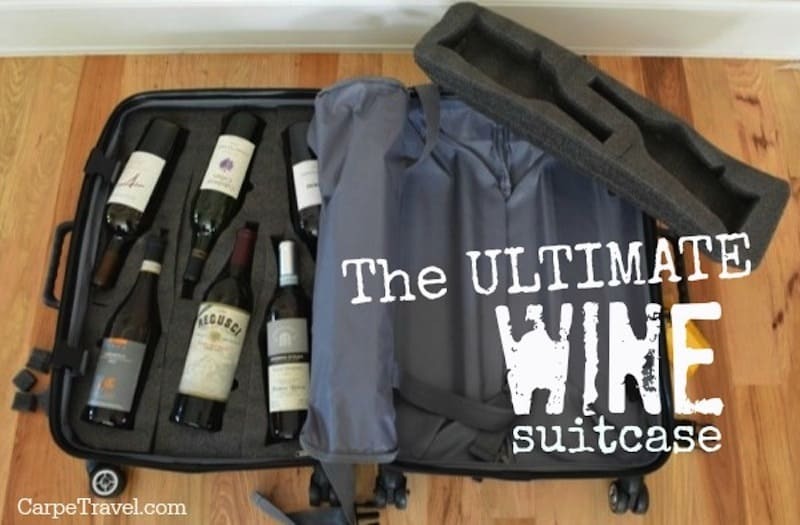 Either have a child backpack or plan to be carrying your little one. Wear comfortable hiking shoes – not flip flops. You may find yourself walking through tall grass at times. Bring a blanket or chairs to sit in. The grass is tall so you will need to bring something thicker than a sheet. Look before you sit down, the area has a lot of cactus (and snakes). Have you been on one of the theatre hikes Arts in the Open has produced? 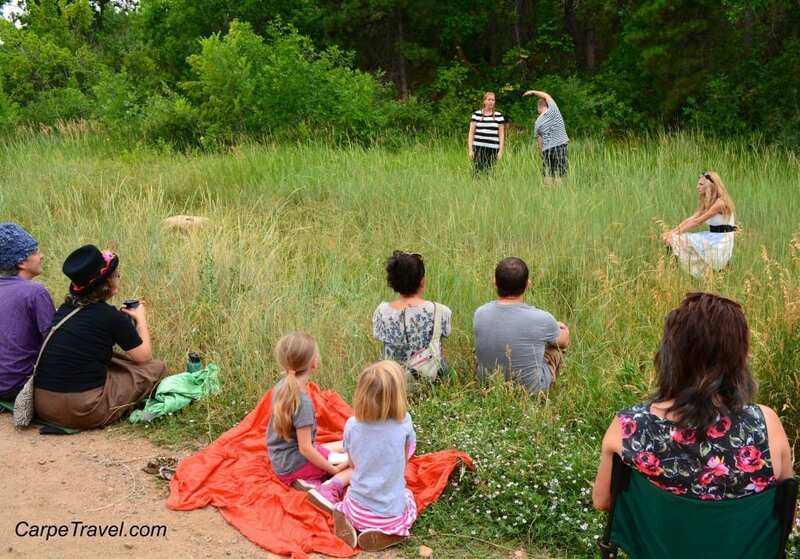 What do you think, would you be interested in pairing an outdoor hike with a theater performance? 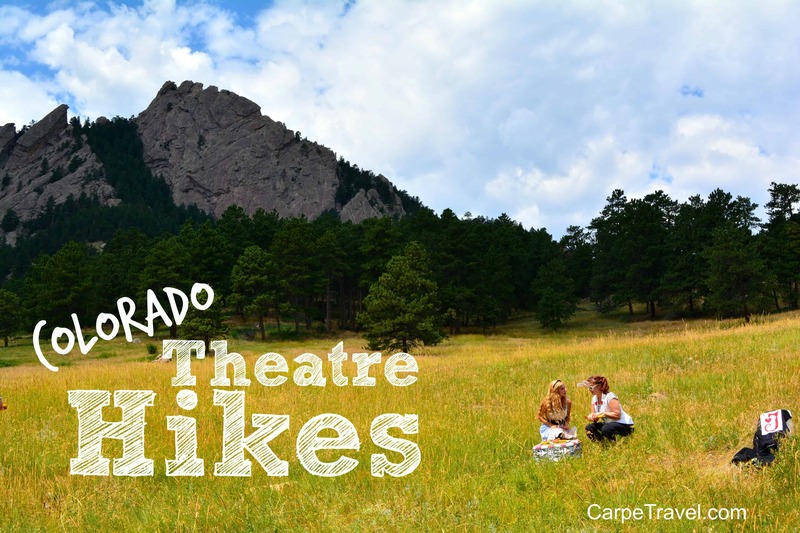 Disclaimer: Colorado Theatre-Hikes provided three complimentary passes for Alice in Wonderland in 2014, I paid full price in 2016 because it’s truly a great family event and one worth repeating. All thoughts are my own. What a fun thing to do outdoors and so different than a normal hiking experience. Lovely day and place for a picnic. Thanks for stopping by! 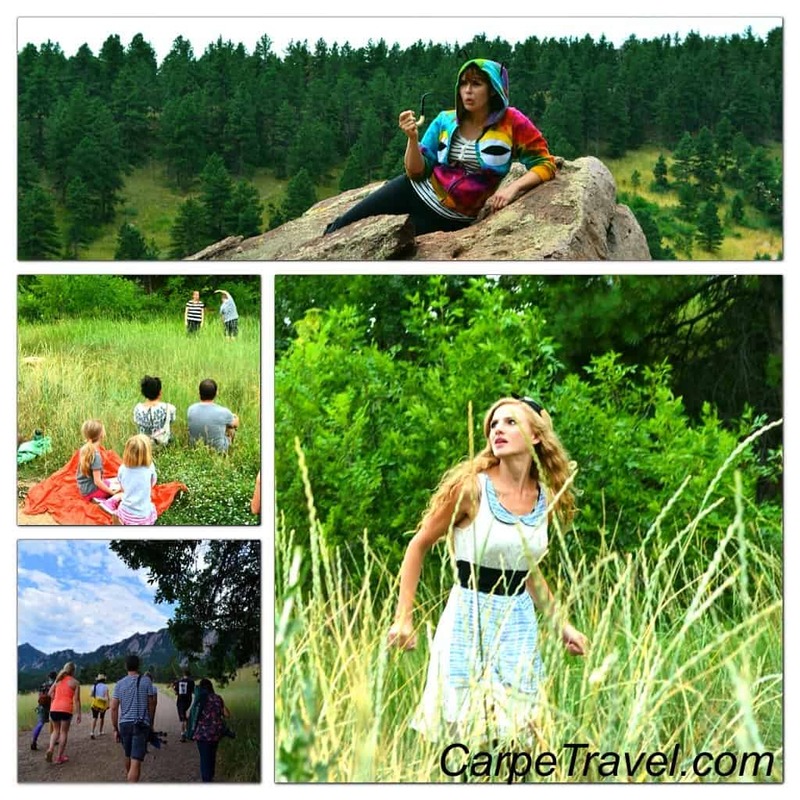 It really is a great outdoors activity to do and so many beautiful spots for a picnic.